Make us a win-win offer! This spot can be filled with YOUR business advert instead of this CHOOK...! South of Adelaide in the centre of the Fleurieu Peninsula, South Australia, the Willunga Basin spreads from the hills to the sea. Willunga is a small country town filled with character and friendly people. It is a hive of community services and groups, businesses, viticulture and agriculture with strong sporting, arts and environmental cultures. Location... 46 kilometres (28.5 miles) or 43 minutes south of Adelaide, South Australia. Main industry... viticulture, tourism, horticulture & agriculture and associated industry. ...for visiting WillungaSA.com (blue tabs) and WillungaFestivals.com (pink tabs)... take a look around... there is a massive amount of information... enjoy! See latest issue of "Willunga News... In-a-Nut-shell" for this month's community meetings and events. 1. 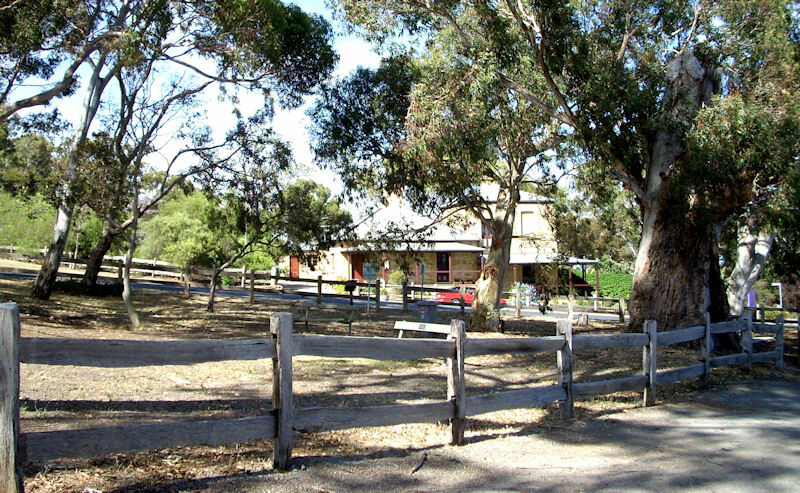 This site... WillungaSA.com - Businesses, Services and Clubs, needed and useful phone numbers & websites, World News and FREE Classifieds, Willunga's monthly newsletter "Willunga News... InaNutshell" in PDF and more. Most things can be found in the Menu Tabs on the left. On the right you will find Emergency Numbers, Help-lines, General Services and On-line Tools. Your Website... Your Responsibility... WillungaSA.com is Willunga's website. It is the responsibility of the businesses, services, clubs and community groups to keep information listed on this site up to date. The editors take no responsibility for incorrect data. Please email events@willungafestivals.com with your changes or additions. Be surprised by the number and variety of businesses. Find out how to join a group, organisation or sporting club. Buy and sell for FREE in the Classifieds. Choose a venue for your wedding, birthday or anniversary. Enrol your child in one of the many schools. Discover who represents you in parliament. Read Willunga's monthly newsletter, In-a-Nut-shell in PDF form. Catch the daily news reports on the home page. You can fill this spot with YOUR business advert instead of this CHOOK...! Click on "News InaNutshell" blue tab.